I am Ashley Foster B.S., CBCC-KA the Founder , Owner and Lead Consultant for Complete K-9 LLC. Working with dogs was a dream as a child that has evolved into a professional passion. I got involved professionally with dogs in 1994 and continued to expand my education over the years and worked to obtain a Bachelors in Zoology, a Professional Dog Training Certification as well as a Certificate in Behavior Consulting for Canines (1 of only 161 world-wide). With over 23 years of experience as a trainer and behavior consultant to clients and veterinary clinics, and my on-going passion for continuing eduation, I offer clients the most innovative, effective and dog-friendly training and behavior consulting services available. I am not just a dog-trainer/behavior consultant but a human educator. I love working with the people just as much as I do the dogs. My goal is to educate people on the advances in the field of dog training and behavior and guide them to being able to use INNOVATIVE + EFFECTIVE + DOG FRIENDLY techniques that develop happy relationships with their dog. I have participated in all realms of the "dog world" and have shared my life with a variety of dogs, some very challenging. And through it all the most important thing to me is the relationship that I have with my dogs and that they can be out enjoying the world with me. My desire is for others to experience this kind of human-dog relationship is why I do this! I look forward to working with you and your hound! Breaker out enjoying the world with me! I want for you and your dog to experience the same! 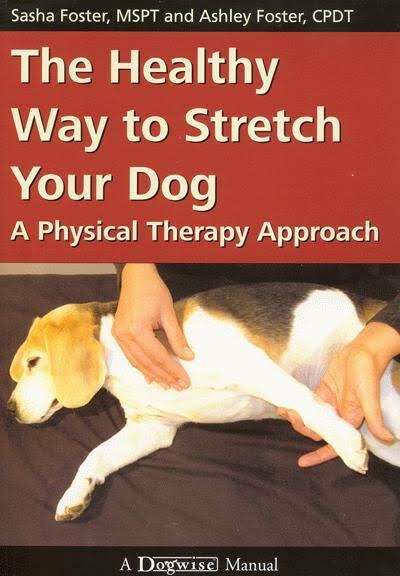 Ashley is the co-author of The Healthy Way to Stretch Your Dog. The 2009 Dog Writers Association of America, Maxwell Award Winner for the best Care and Health Book. You can click on the title above to find out more about this book that will help keep your dog healthy and fit! Visit the below links to learn more about why we have a mission of using only positive, science-based, dog friendly techniques! Over 23 years of experience, starting with a 2-year training apprenticeship where I completed a professional trainers course, studied every AKC registered breed and worked hands on with over 50 breeds of dogs. Bachelors of Science in Zoology with a focus on behavior. Board of Directors Member - Certification Council for Professional Dog Trainers. Developed and completed a year long project pairing "at-risk" youth with "at-risk" dogs to look at the benefits of he human-animal bond. Provide presentations to universities and dog organizations. 10 years of experience screening, training and coordinating human-animal teams to do Animal-Assisted Therapy in over 30 facilities throughout Colorado. The development of an innovative course on canine communication and advocacy in therapeutic settings. Developed and managed a state-of-the art dog daycare, boarding and training facility for 8 years and developed Gentle Handling Practices for facility and hospital staff. Held CPDT-KA (Certified Professional Dog Trainer) Certification from 2006-2015. Expanded Certification into CBCC-KA (Certified Behavior Consultant Canine) in 2013 - ongoing. Attends at least two training/behavior seminars annually to ensure that techniques she uses are at the top of the field.